The coumarilate (coum−) and 1,10-phenanthroline (phen) mixed ligand complexes of Co(II) (1), Ni(II) (2) Cu(II) (3) and Zn(II) (4) were synthesized and structural characterizations were performed by using elemental analysis, magnetic susceptibility, solid-state UV–Vis, FTIR spectra, thermoanalytical TG-DTG/DTA and single-crystal X-ray diffraction methods. The Co(II) and Ni(II) complexes are salt-type compounds, and they have two moles phen ligands bound as bidentate, two moles aqua ligands in coordination sphere and two moles anionic coum− ligand outside of the coordination unit as the counter-ion of the molecular structure. At the same time, the Co(II) and Ni(II) complexes have five moles of aqua ligands as hydrated water outside of the molecules. It was obtained that Cu(II) and Zn(II) complex structures contain one mole of phen ligand, two moles coordinated (coum−) ligand and a one-mole aqua ligand, and the molecules (Cu(II) and Zn(II)) have fivefold structure and obey square pyramidal geometry. Thermal decomposition of each complex started with dehydration (the first removal is the dehydration of complex Co(II) and Ni(II) as removal of hydrate–aqua molecules), and then, the decomposition of organic parts was observed. The thermal dehydration of the complexes takes place in one (Cu(II) and Zn(II)) or two (Co(II) and Co(II)) steps. 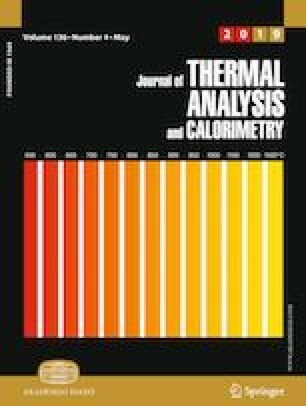 The decomposition mechanism, thermal decomposition steps and thermal stability of the investigated complexes provide useful data for the interpretation of their structures. The final decomposition products were found to be metal oxides. Some biological applications (antifungal/antibacterial) were performed using structurally characterized compounds. This study was financially supported by Sinop University in Turkey (Project No. SÜB-1901.14-01) and Hitit University Scientific Research Unit (Project No: FEF19004.15.005). The authors acknowledge Scientific and Technological Research Application and Research Center, Sinop University, Turkey, for the use of the Bruker D8 QUEST diffractometer. Mercury. version 3.0; CCDC. www.viaccdc.cam.ac.uk/products/mercury.